Summary A WRINKLE IN TIME is a US fantasy drama in which a girl and her brother search for their missing father in a magical realm. 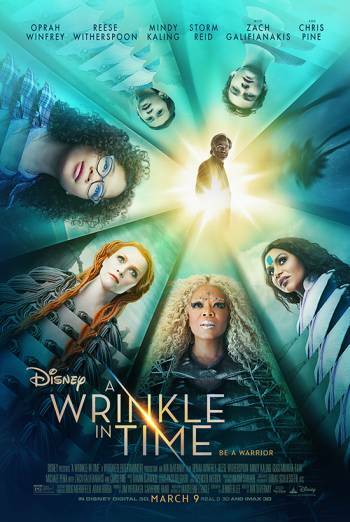 A WRINKLE IN TIME is a US fantasy drama in which a girl and her brother search for their missing father in a fantastical realm. Children are threatened by fantastical forces: they flee a vast storm, fall from great height and meet sinister red-eyed villains along their journey. A physical embodiment of evil flies through space and hits the Earth, causing explosions. Two young men, influenced by this evil, bully a homeless man. There are moments of violence: a girl throws a ball into a bully's face; a girl is caught by the tendrils of a fantastical force and flung around.